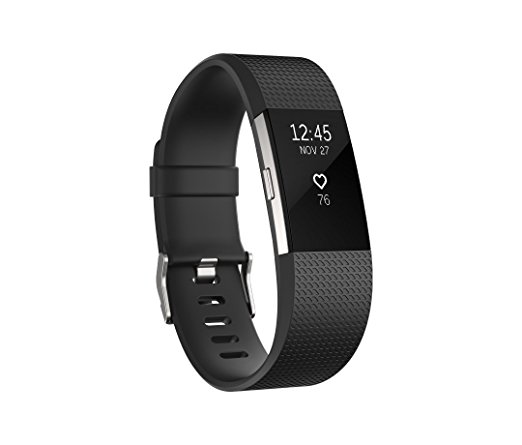 Fitbit - Activity Tracker or DevOps Accessory? Obviously, Fitbit is an activity tracker, there isn’t any doubt about that but there are some nice features with Fitbit’s line (along with others) of activity trackers that have been extremely useful in the DevOps and Infrastructure area of my current job. I have the Fitbit Charge 2 and for an activity tracker it does everything I would want and it is perfect for what I need, even though I’m not as active as I want to be. Tracking activities set aside, let’s look at some features that could also be useful to you. We currently have PagerDuty setup to monitor our infrastructure. When something goes wrong PagerDuty is set up to push a notifications into Slack, send an email, and text my phone. With the Text Alert feature from Fitbit it also will gently vibrate my wrist letting me know something is going on. Slack and email notifications you may miss when focusing, but it is really hard to not take note of your wrist vibrating. I have found also this feature has increased my response time for dealing with alerts. As a bonus, this feature also is great when you’re sleeping and an alert goes off, you can quietly take care of the problem without a pinging disturbing your significant other or furry friends. The silent alarm is my next favorite feature and for the same reason for not disturbing your significant other. Have an early morning deploy on the weekend that you need to be online for? or what about a late night maintenance on your favorite database? Simply set the silent alarm and the Fitbit will wake you up by vibrating until you acknowledge it. This is great if you don’t want to disturb anyone with setting an alarm clock or it is even nice when you want to take a nap on the couch before a late night deploy. I get up early in the morning to avoid traffic with my commute, I use this feature to get up without the need of setting the alarm clock. Not only does this not disturb my wife, but I do find it a gentler way to wake up then the sound of the annoying alarm clock. So in my opinion, if you manage a group of people who have a call rotation, or need to be online outside of normal business hours, I would recommend that you buy them all Fitbits! Not only is it a good gesture of saying that you care about their mental and physical health but it would ensure they can react faster to alerts, and be awake and ready to go when you need them online.